In this comprehensive training guide, renowned horsewoman and Olympic gold medalist Melanie Smith Taylor shares her unique program for setting horse and rider up for success. Blending her in-depth knowledge of groundwork and flatwork with her vast experience in the hunter/jumper discipline, she explains how to achieve a harmonious partnership with your horse and realize his full potential—whether you’re a weekend trail rider or serious competitor. 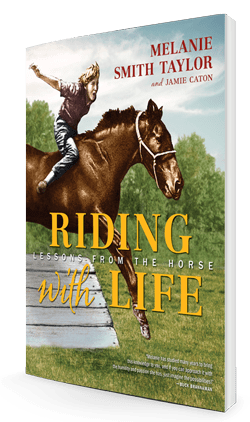 Against the backdrop of her life story, Melanie presents a wealth of specific exercises, instructional photographs, and valuable advice, as well as details about the many horses that have helped shape her approach. Throughout Riding with Life, she encourages us to appreciate and honor the nobility of the horse and forge a true connection with this majestic animal. 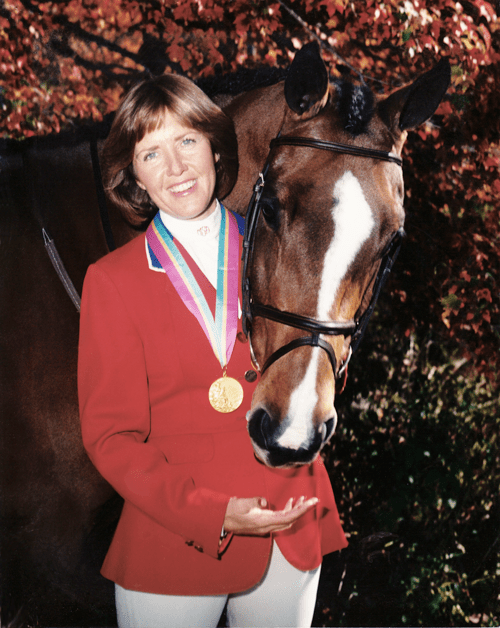 Melanie Smith Taylor became one of only two riders to ever win the Triple Crown of Show Jumping—the American Invitational, the International Jumping Derby, and the American Gold Cup—and the only person to win all three on the same horse. After winning the World Cup Final in 1982, she was named the US Olympic Committee Sportswoman of the Year and inducted into the Tennessee Sports Hall of Fame. Two years later, she capped off her show-jumping career with a team gold medal in the Los Angeles Olympic Games. Today Melanie serves the horse world as a clinician, a television broadcaster for major events, including the Olympics and World Championships, and a recognized judge for hunter/jumpers and hunter seat equitation. Finally… Gold on home soil!